Holly at Lakehouse Dry Goods has created a great quilting project for 2016. 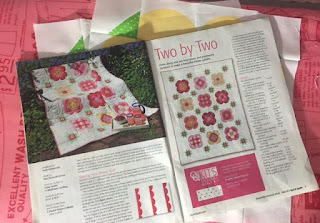 The quilt is called Two by Two. 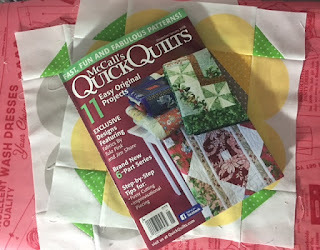 McCall's Quick Quilts will be publishing blocks in each issue that will end in a beautiful and unique quilt. 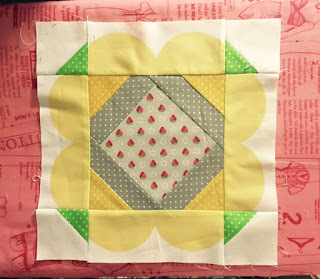 I really love the Lakehouse scalloped fabrics and have used them in several projects. They make such a sweet perfect curves that come together without applique or piecing. If you don't already subscribe to Quick Quilts, this might be the year to be sure to grab each issue. Click the link to get the magazine on sale right now. I really like the idea of spreading out a nice project throughout the year that I can look forward to with each block installment. Each issue gives instructions for 2 color versions of the same block. 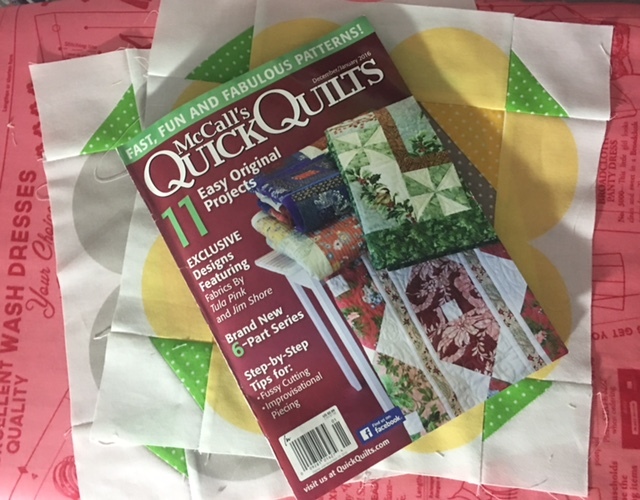 I think it is great that even though there is a little fussy cutting, the project is really quick and easy. And I love love to fussy cut. The instructions are simple with good diagrams. 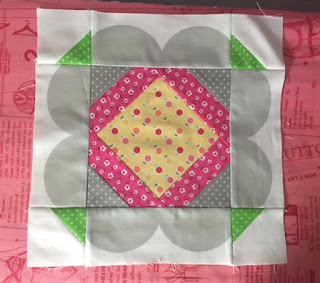 And even I can turn out a perfect block! I'm kind of playing around with color right now. I haven't been able to decide which colors of the scallops to use so I may end up with a more scrappy color scheme for my quilt. This is the kind of project I can carry out and stick with throughout this year. 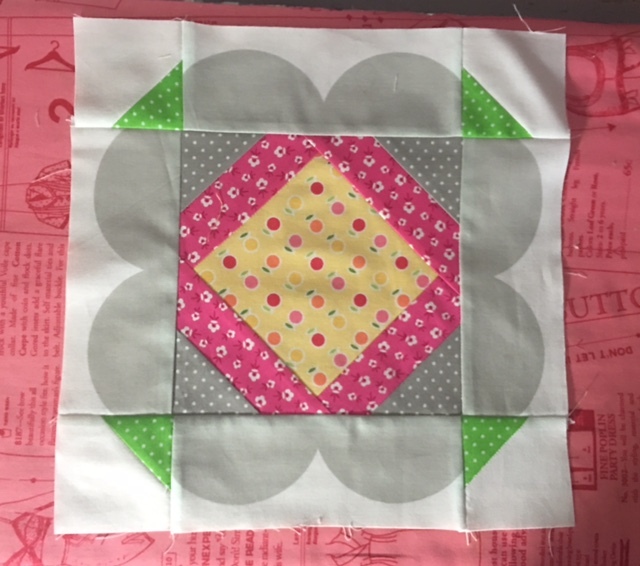 This quilt is a finisher for sure.